Automatic transfer switch, has rated current ranging from 10 ampere to 100 ampere (10A, 16A, 20A, 32A, 40A, 50A, 63A, 80A, 100A) within circuit breaker, 3-pole or 4-pole, and compact desigh, light weight, easy mounting, simple operation, widely used in the power changeover between the normal power and standby power. Selectable rated working current 10A, 16A, 20A, 32A, 40A, 50A, 63A, 80A, 100A. Tips: How does an automatic transfer switch work? 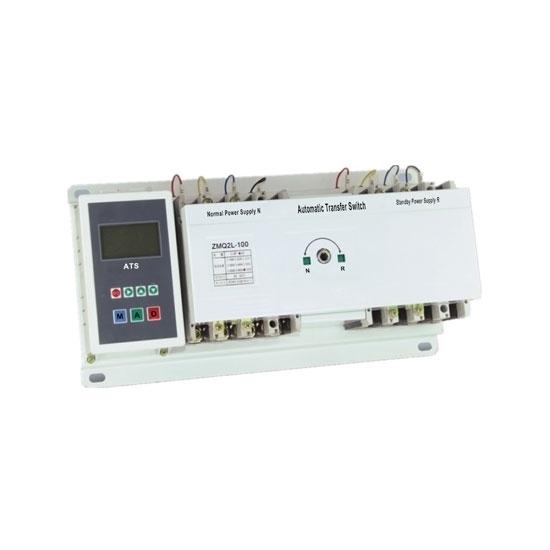 ATS automatic changeover switch is mainly used for the emergent power supply system. 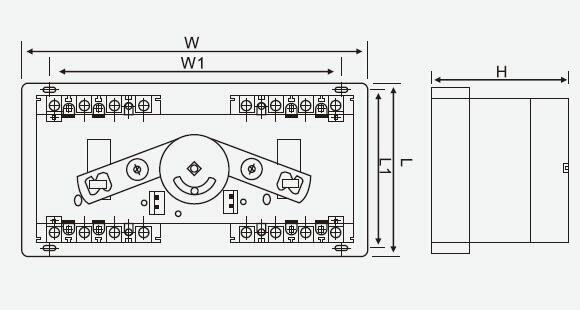 It is the switching device changing the load circuit from one power source to another (backup) automatically, so as to guarantee the continuous and reliable operation of the important load. At the working status, the controller of ATS will conduct continuous data sampling to various voltages of the two power sources and calculate the voltage effective values automatically. According to the set data, the microprocessor carries out various judgments. The result will send out separating or closing instruction to the operating mechanism through the prolonged (adjustable) drive circuit, so as to realize the switching on the normal power or backup power, or the changeover to the dual sources off. 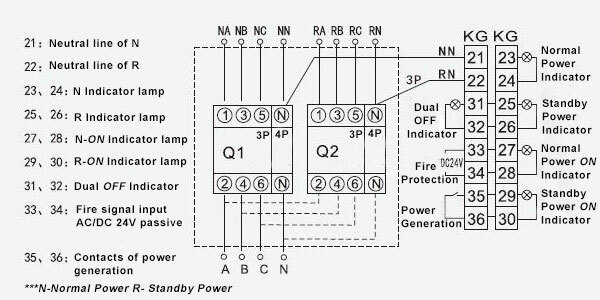 In addition, the fault condition can be reflected by the LED digital tube and indicating light.